Postpartum doulas provide a much needed service for many new parents, however not all parents are able to pay for someone to come to their home, help them take care of themselves so they can take care of their baby, without judgment, and with a lot of compassion and really great tips for that “babymoon” time. In today’s New York Times, reporter Zoe Greenberg writes about postpartum doulas in NYC and quotes Dr Christine Morton, one of the authors of Birth Ambassadors! Because when a baby comes, friends and families don’t always know how to help. Why doulas get no respect. It’s not the science, it’s the culture. My social media feeds lit up two weeks ago after this New York Times story about doulas was published. At first it seemed that doulas, and the benefits of continuous labor support, had been validated by the paper of record. However, it soon became apparent, from the many comments and later, responses from individual doulas, the NYC Doula Collective, a doula training organization, and Miriam Perez of the Radical Doula, that many doulas and their advocates were dismayed that the article failed to articulate what doulas themselves find valuable about what they do. The main argument among the rebuttals mentioned above was that the NYT reporter neglected the research often cited as evidence that continuous labor support results in measurable beneficial outcomes for birthing women and their babies. Many also took issue with the characterization of doula support as a personal service, available to privileged women who can afford to pay handsomely for this luxury. But there’s the rub. Since doulas only attend about 6% of all births, according to Listening to Mothers 3, a nationally representative survey of women’s birth experiences, it’s hard to support the claim that merely adding more doulas to maternity care teams will make a measurable impact on birth outcomes like cesarean deliveries (currently ~32% in the U.S.). In some areas, new maternity models of care are making an impact, by creating a “pregnancy care package,” with a continuum of team care led by a nurse-midwife and coordinated with an obstetrician, nurse, doula, pediatrician, social worker and patient navigator. But even those projects are difficult to scale up to meet the demand. 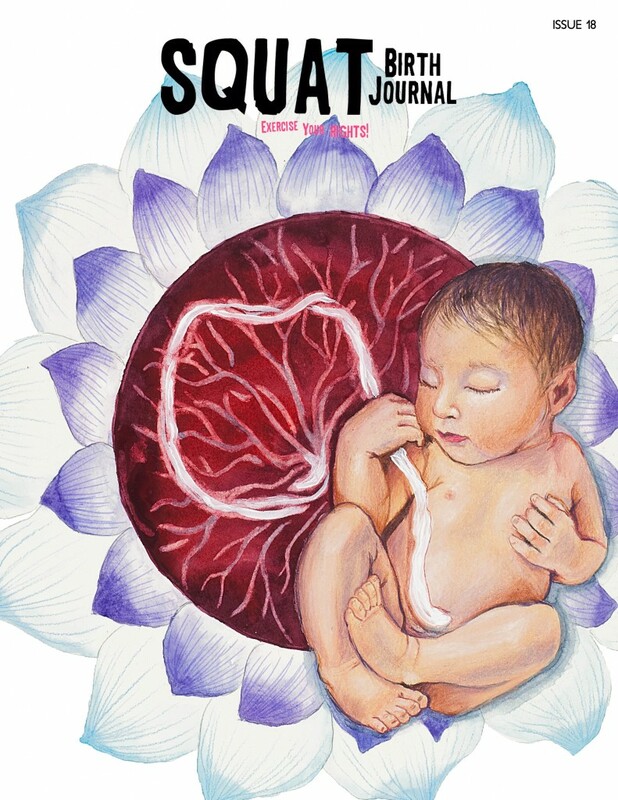 Doulas, working as isolated entrepreneurs, or even as collectives, may not be as effective, or as respected by maternity care clinicians, as they would if they were a recognized, legitimated part of the “team.” My colleague Amy Gilliland has been writing about the issue of national doula certification, and recently cited the work of another colleague, Jennifer Torres, whose research comparing lactation consultants and labor support doulas found that “both filled a niche in maternity care practice that is not covered by nurses or physicians. However, lactation consultants have been able to influence medical practice directly. They entered through the “front door” and have been welcomed by medical professionals, because breastfeeding is seen as a medical event. However, doulas are not recognized as having anything meaningful to offer to medical professionals, and as such are seen as entering through the “back door.” (see Amy’s blog for a full discussion). 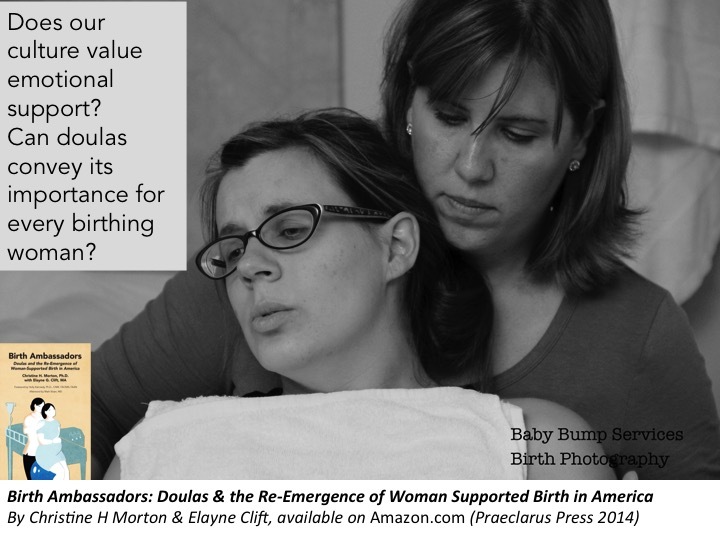 In our book, Birth Ambassadors: Doulas and the Re-Emergence of Woman-Supported Birth in America, we argue that while doulas do provide several benefits to laboring women, the doula role itself is open to critique because of some fundamental contradictions in its definition. Are doulas trained professionals, or “merely” caring women with a passion for birth? Do doulas unconditionally support women’s birth choices even as they hold strong views on the optimal management and outcomes of childbirth? Can doulas advocate for their clients in the hospital labor room without being seen as interfering with the medical management or challenging obstetric authority? These various interpretations are clearly evident in the NYT story and even more so in the hundreds of comments it generated. The reason why doulas are unable to gain respect from the press, the obstetric community and the public is that their primary goal of providing emotional support to women during childbirth is not valued by our culture. It is well known that facts alone are unlikely to change someone’s deeply held beliefs. Doula advocates’ use of scientific rationale as the warrant for continuous labor support fails to address the underlying cultural belief among many that women’s birth experiences are not that important. Furthermore, unlike lactation consultants, whose goal is to facilitate successful breastfeeding with a client (something of value to hospitals now that The Joint Commission is tracking such rates), the doula’s goal is less clear and clearly less valued by hospitals. On the one hand, doulas and their organizations cite benefits of continuous labor support such as fewer c-sections, yet caution that as individual doulas, the goal is NOT to ensure a vaginal birth, nor question the decision for a cesarean section for any particular client. Instead, doulas typically say their goal is to enhance women’s satisfaction with their birth experience, no matter the outcome, wherever the birth takes place. Changing the cultural meaning of labor support — the value of women’s emotional experience — is a much harder task than citing research on the clinical benefits of a doula. Any occupation that includes emotional labor is relegated to a lower social status than a comparable one that does not (think school bus driver vs. city bus driver; pediatrician vs. neurosurgeon). Much social science research finds, that in any organization, those workers who are expected to provide emotional care are less valued and less compensated than those who are not. Doulas and their organizations need to communicate the fundamental value of emotionally supporting women through childbirth. Birth Ambassadors is at #LamazeDONA Confluence in Kansas City! We are happy to note that you can buy a copy of Birth Ambassadors at the Praeclarus Press at Booth #302. Tweet to @birthambassador if you’d like a signed copy by author Christine Morton while you’re at the Lamaze/DONA conference! 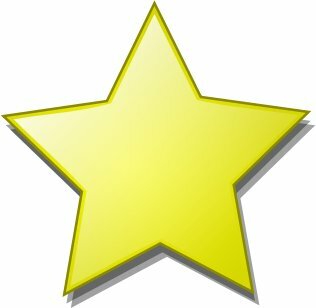 Five Star Reviews of Birth Ambassadors on Amazon! The Amazon reviews are unanimous! Get your copy now and join the doula trainers below who value this sociological perspective on labor support in the U.S.
trained over the years and told them it’s a must read! Birth Ambassadors is essential reading to understand, prepare to be or find a doula. 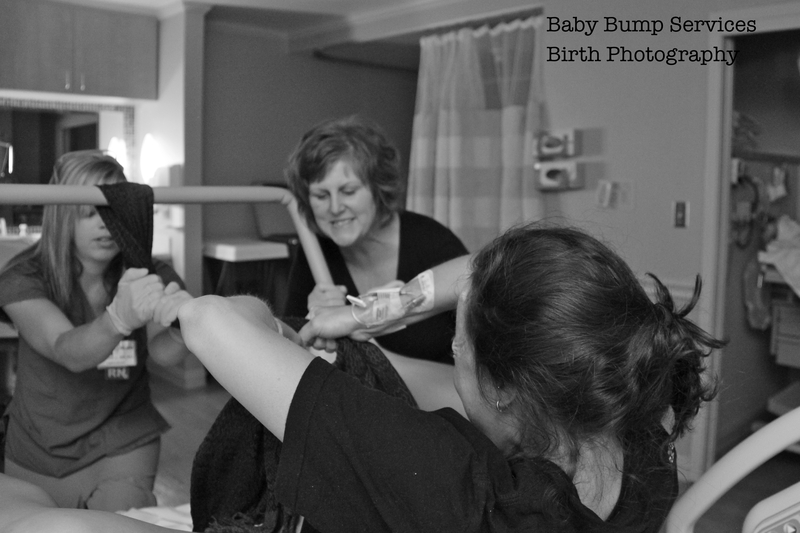 Birth Ambassadors tells the the “other” side of the maternal health story in America. This book seems to be the first study about doulas, and what a recognition we get! world. Thank you Christine Morton ! Online Birth Story Workshop with chance to win a free book! How do you write a good birth story? What makes any story compelling? How can we tell our own birth stories, as remembrance and as a gift to other women? 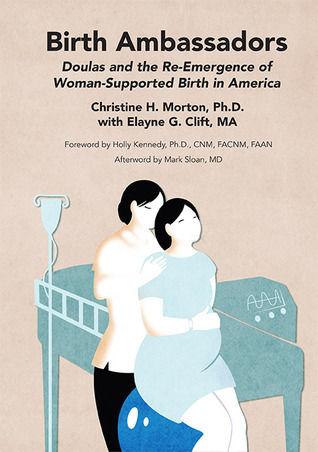 In Birth Ambassadors: Doulas and the Re-emergence of Woman-supported Birth in America (Praeclarus Press, 2014), Christine Morton and Elayne Clift include stories by women for whom a doula was present at their birth. These beautifully crafted first-persons narratives give voice to the extraordinary experience of giving birth. Join the growing chorus of women whose voices, and birth stories, are being heard! This 4-week online workshop guides participants – moms, dads, midwives, nurses, doulas, docs – through the elements of good storytelling as they relate their personal experience while giving or assisting birth. Weekly prompts will serve as a guide to setting the scene, involving characters, using dialogue, making wise word choices, and more. Work will be shared each week among participants who will respond to each other. 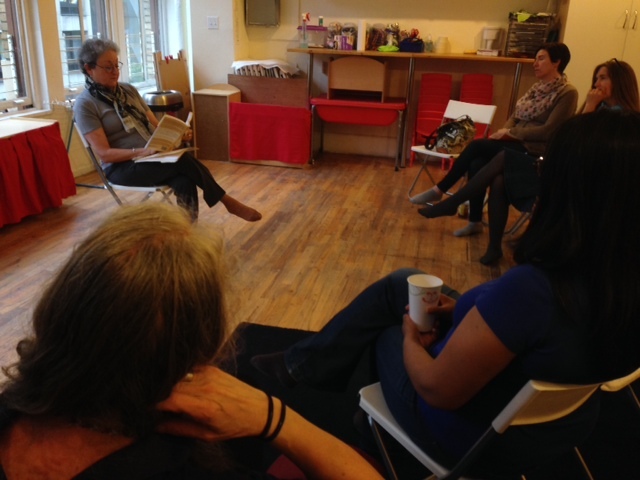 Elayne will offer in-depth feedback and suggestions for each piece and facilitate dialogue among participants. If you’re interested in painting a word portrait that carries your audience with you as you tell your birth tale, please register by July 15. Register by July 4 for one of two chances to receive a signed first edition of Birth Ambassadors! Space is limited to 8 participants! WHEN: The first online workshop will begin August 1 and conclude Aug. 25. Elayne Clift (M.A. ), a specialist in gender issues and women’s health, has been an international educator and advocate on maternal and child health issues for more than 25 years. She is Sr. correspondent for the India-based syndicate Women’s Feature Service, a columnist for the Keene (NH) Sentinel and the Brattleboro Commons, and a reviewer for the New York Journal of Books. Her articles, prose and poetry appear in numerous anthologies and publications internationally and her novel, Hester’s Daughters, a contemporary, feminist re-telling of The Scarlet Letter, was published in 2012. She lives in Saxtons River, Vt.
How do you write a good birth story? What makes any story compelling? How can we tell our own birth stories, as remembrance, and as a gift to other women? 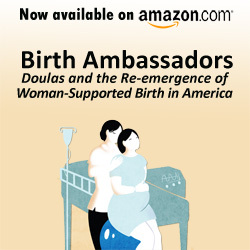 In their book Birth Ambassadors: Doulas and the Re-emergence of Woman-supported Birth in America (Praeclarus Press, 2014), Christine Morton and Elayne Clift include stories by women for whom a doula was present at their birth. These beautifully crafted first-persons narratives give voice to the extraordinary experience of giving birth. Join the growing chorus of women whose voices, and birth stories, are being heard! This workshop draws upon the examples of birth-related stories as Clift guides participants through the elements of good storytelling as they relate to the experience of giving or assisting birth. Prompts will serve as a guide to setting the scene, involving characters, using dialogue, making wise word choices, and more. Come prepared to remember, write, and share. (Laptops welcome. Paper/pen are good too!) Join in painting a picture that carries your audience with you as you tell your birth tale! Elayne Clift (M.A. ), a specialist in gender issues and women’s health, has been an international educator and advocate on maternal and child health issues. She is Sr. correspondent for the India-based syndicate Women’s Feature Service, a frequent contributor to Women’s Media Center, a columnist for the Keene (NH) Sentinel, and a reviewer for the New York Journal of Books. Her novel, Hester’s Daughters, a contemporary, feminist re-telling of The Scarlet Letter was published in 2012. She lives in Saxtons River, Vt. Birth Ambassadors argues that the doula role is underpinned by ideological commitments to several overlapping and, at times, conflicting ideas around childbirth. These include an understanding of pregnancy and birth from the midwifery model, a belief in women’s right to make informed choices regarding their health care, the need for patient/consumer advocacy and unconditional emotional support for women’s choices about their births. Birth Ambassadors explores how this constellation of beliefs within doula practice represents an innovative yet problematic response within the maternity reform movement to empower women during and after childbirth. Doulas are ambassadors to the world of birth, highlighting women’s emotional experience of birth in settings where beliefs and practices of the participants (the woman, her family, the nurses, midwives and obstetricians) are sometimes in conflict. For doulas to fulfill their goal of entering mainstream maternity care, they and their organizations face critical challenges. Robbie Davis-Floyd PhD, author, Birth as an American Rite of Passage, co-editor, Mainstreaming Midwives. Holly Powell Kennedy, Ph.D., CNM, FACNM, FAAN, Varney Professor of Midwifery at Yale University and Past-President of the American College of Nurse-Midwives (ACNM). We are giving away 5 copies of Birth Ambassadors on Goodreads! 3/23/14: attention: the Goodreads Giveaway for Birth Ambassadors is now approved! Effective thru 3/31! Giveaway ends March 28, 2014. This excerpt highlights findings from Christine Morton’s sociological research on the history and experiences of doulas in the United States. The methodology is described in the book’s Appendix. As outsiders to the hospital, yet as self-professed insiders to labor support, doulas employ several strategies as they enact their role providing information, advocacy, and physical and emotional support. Some strategies occur during the prenatal visit, such as becoming familiar with the client’s birth plan and desires for interventions, and discussing communication and negotiation tactics should the birth plan be challenged by either the maternity clinicians or unexpected events, particular to, and complicating the birth. Well, it’s really important to get some kind of partnership set up or at least division of labor set up with the nurses. Most nurses—when there’s a doula—I find that they are content with their clinical assessment-monitoring role. Or they’ll be chatty and supportive that way. And there’s a few that obviously love labor support, and there’s always room for more labor support, you know. That way I get to go to the bathroom, or work together, and that’s really nice. But the ones that don’t seem to approve of labor support seem content enough to do their clinical role and I’m respectful of their job. I try to ask the nurses questions that we have, in a way that allows them to share their expertise. I like to develop a ‘We’re learning from you, what do you have to share with us’ type of thing, so they don’t feel sort of ousted by the doula and that they’re just like the paper work person. That they really have something to give to the situation. I consider us all a birth team, there’s no, I’m on one side or another, we’re all on the mom’s side, basically. That’s certainly the way I like to think about it. I kiss up a little bit in the beginning, I mean, not really, but I introduce myself and I usually ask the nurse what’s going on, if she was there before me, and [I also ask] the mom, but it comes out from both of them while the mom’s there. I say, ‘Oh, that sounds great’, and I kind of reinforce back and forth, and it feels like a team, and I get out of her way and she does her thing, and I do mine. Tiffany Smith, a doula and a nurse, acknowledges the potentially contradictory roles of informational and emotional support in the doula role, and says this was an ongoing issue in both her doula and nursing practice. Tiffany’s tactic is different: “It’s a balancing act, to push up to the line but not over. Always negotiation. As a nurse, one of my roles is to advocate for patients. So I use what I call my dumb nurse voice—playing stupid in a non-threatening way—non confrontational.” Tiffany’s nursing experience and knowledge serves as a resource for her interactions with clinicians when she works as a doula. She told a story about a birth in which the placenta was taking a long time to come out. Tiffany noticed the doctor becoming impatient and tugging on the umbilical cord. “So I asked, ‘Gee, how long does it take to come out?’ I bought the mom time, about 45 minutes, because the doctor was pulling on the cord.” Tiffany was concerned about possible postpartum complications if the doctor rushed something that Tiffany knew could normally take up to an hour. She used her ‘dumb nurse voice’ to redirect the doctor’s awareness to the wide variation in ‘normal.’ In so doing, Tiffany felt that she ‘bought the mom time’ to hold and admire her newborn before the nursing staff took the baby for institutional processing such as measurements, bathing, and vitamin K shots. This strategy of using ‘classic’ feminine wiles was often described by doulas when they asked a question of the nurse or doctor in front of the client in an attempt to introduce another viewpoint. In the best nurse-doula scenario, both assist each other and work for the benefit of the laboring woman. One doula remembered a nurse’s behavior while recounting a birth story about a long labor during which the client got an epidural and fell asleep: “The nicest thing for me in that birth, I was sitting next to her, dozing, around 3am, and a nurse came in and put a warm blanket on me. She was a doula to me, her intention was so sweet.” Here, demonstrating personal attentive care is described as acting like a doula. Doulas who stress the importance of establishing a ‘team’ approach with the nurse acknowledge that part of what the doula is there to accomplish infringes on some part of the nurse’s job description: providing labor support. Doulas are aware, however, that individual nurses vary in the degree to which they embrace hands-on labor support aspect. By making initial overtures to the nurse, the doula is able to assess the degree to which the nurse will be an ally with the doula and support the woman’s desires. Well, one thing that I try to do is when the doctor’s not in the room—I’ve encouraged my clients to say, ‘We’d like to think about it’—and they ask the doctor to leave and then come back so that we have a chance to talk in privacy. What I’m finding is that the doctors have egos and the last doctor we were with said to the client, when she started asking a few very simple questions about artificial rupture, ‘I’ve done a couple more births than you probably have. I’ve done about 4000.’ You know, totally demeaning. And I wanted to say, ‘Yeah, but you haven’t had your baby. You’re not the one who’s giving birth right now.’ He was totally insulted that she wanted to ask questions. This backstage strategy can be an effective way to validate women’s feelings about the medical interaction or to sort out possible approaches to the particular situation at hand. It is also used by doulas as a practical strategy for challenging and countering medical information, and providing more advocacy. Another thing I do is to be that buffer in between that medical staff and mom … because nurses will continually come in and say, ‘You know, you can get medication,’ and the mom says ‘No,’ and they’ll come back and say ‘You know, you can have medication…’ So that’s what I talk to the mom about [when the nurse leaves]. I don’t talk to medical staff, I don’t give them any decision. [I tell the client] ‘When she [the nurse] comes back in, just let her know that you will ask for medication, and tell her ‘Do not ask me again.’ And she told them that way. Because medical staff, that’s what they do, it’s nothing negative against them, they’re doing their job. Since we did it that way, it didn’t put pressure on them, because when you’re in the midst of a pain, (laughs) if someone can tell you ok, I can take you out of the pain, you know, it’s difficult, it’s difficult. Roberta uses her continuous presence at her client’s side to offer advice on how to respond to the nurse’s continued offer of pain medication. She effectively uses the backstage time with her client to construct a response to the nurse’s offer for medication that kept her, the doula, out of the interaction. Roberta didn’t construe the nurses’ behavior with sinister motives; rather, she saw the offer of medication as ‘their job’ but acknowledged that this offer can be tempting to a woman in the midst of a painful contraction. This use of backstage strategy is made possible by virtue of the doula’s continuous presence at the birth. Nurses come and go but the doula remains in the room, privy to the woman’s reactions to a particular nurse and to her knowledge of the woman’s goals through her prenatal contact. In cases where the backstage strategy isn’t applicable or doesn’t work, doulas adopt varying styles of direct communication with maternity care clinicians, whether to challenge information, suggest alternative practices, or to enlist them in helping the doula support the woman’s desires for her birth.